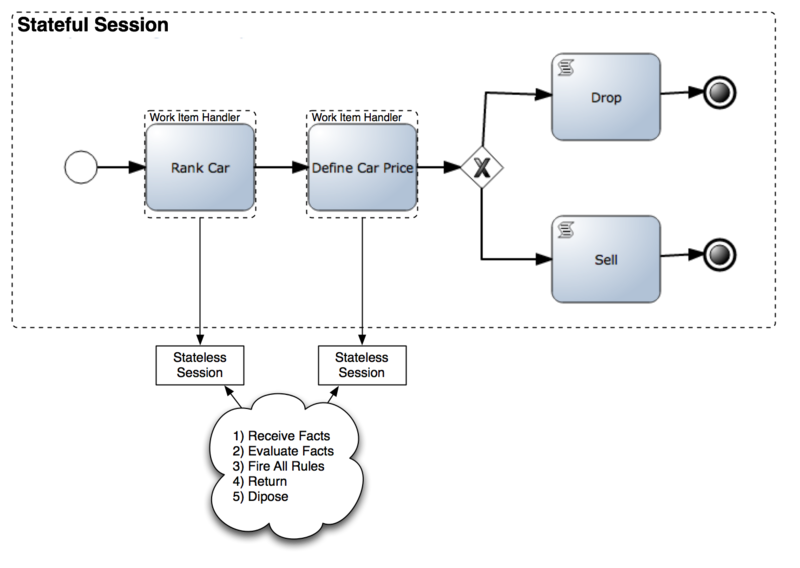 In the previous post we’ve analyzed a process which includes some rules to Rank a Car and Define the Price of that Car. As I’ve promised in my previous post, from now on we will work with Stateful Sessions, meaning that our processes and our rules will be hosted in a session that will be responsible for keeping the status, allowing us to have a richer context to work. 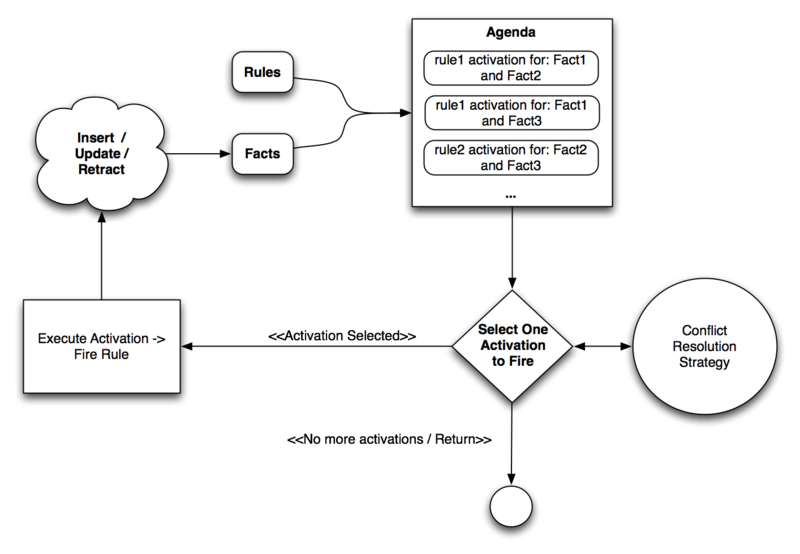 There are two ways to put the Rule Engine in what we call “The Reactive Mode“. The only downside of using the Fire Until Halt approach is that we need to create another thread – this is not always possible. We will see that when we use the persistence layer for our business process, using this alternative is not recommended. For testing purposes relying on other thread to fire our rules can add extra complexity and possible race conditions. That’s why the following method, which uses listeners, is usually recommended. 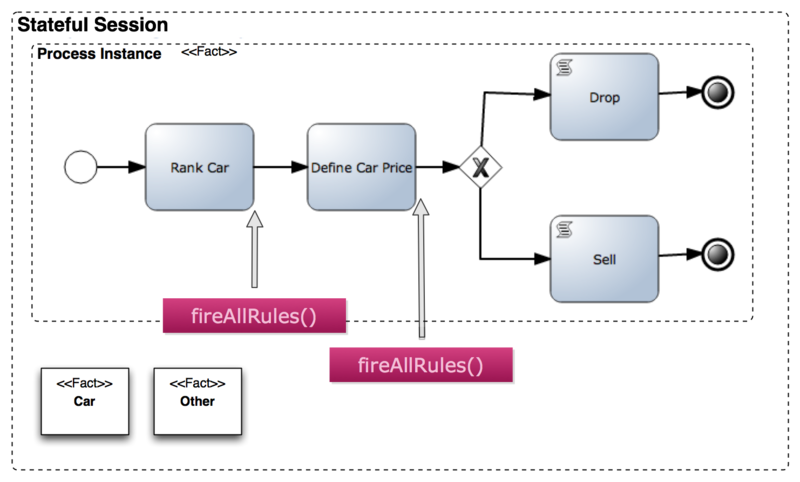 Notice that this example works in the same way that the previous one, it give us the same results, but in this one we don’t need to sleep to wait another thread to finish the execution of the fire all rules cycle. Sleeping is not an option for real applications, and because of the recursive nature of the cycle we will never know for sure how much time the other thread will require to finish. Hi Salaboy, many/most of the links to your source code repository seem to be broken (missing directory, punctuation, …). A couple I have not been able to correct in the address bar, maybe you could revisit them when you have the time. thank you for this detailed an comprehensible tutorial. I am new to JBPM and this pages have shown me how to use the rule engine for integrating business rules and doing it in the right way. Do you know when your developer guide will be available in germany? Amazon says it isn´t released yet. Hi Dominik, the book will be released the 10th of December world wide, I don’t know how amazon manage their releases in other countries, but I guess that you will be able to pre order it and as soon as gets printed they will ship it to you.